Mystery Godoku. Puzzle and Clue for 12/21/2009. 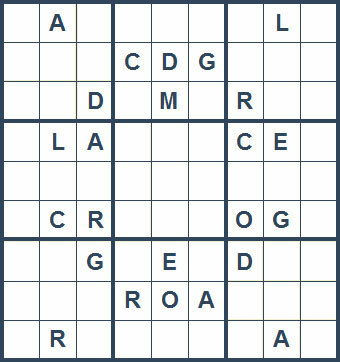 Welcome to Mystery Godoku for 12/21/2009. The anthology The Mammoth Book of Legal Thrillers includes his short story “The Formula” (9 letters).